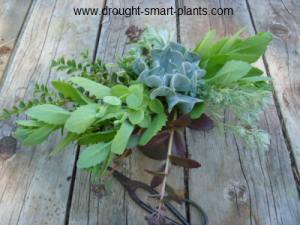 Making your own succulent wedding flowers for the frugal diy bride can save lots of money. In many cases, you can use succulent plants and flowers from your own garden (or that of a convenient accommodating friend or mother) to arrange into spectacular bouquets and boutonnieres. 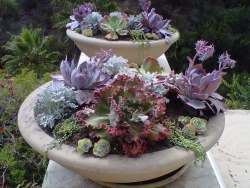 If you’re at all handy and eager to learn about wedding crafts, succulent wedding flowers are the best place to start. Bouquets for the bride and bridesmaids can be made up ahead of time using succulents, unlike many flowers that are commonly used for weddings. The beauty of using succulents to make into wedding crafts is that although they look delicate with their waxy looking leaves, they are tough enough to survive and even root without any water - no need for picks or fussing. Just let them callous, right out in the open air, and then assemble them with glue or skewers. Even more amazing is that after the dust settles, and the guests have all gone home, the wedding bouquets, centerpieces and boutonnieres can be taken apart and the plants potted up in planters and containers for the deck and patio. This little project can even wait until after the honeymoon, if you put the wedding flowers in a bright airy place where they will quite happily dry out and probably even grow roots in the meantime. 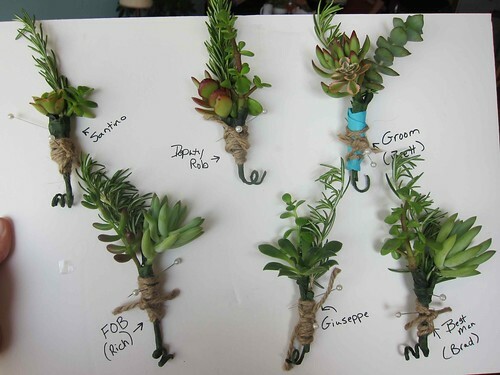 Succulent wedding favors can be planted up for each guest to take home for a little memento. Using overgrown succulents for wedding flowers means you have a lot of choice in the length of the stem. Cut the stems long so you can have enough to make into the handle of the bouquet or for taller centerpieces. Take off the lower leaves to expose the stem. Use ‘Sahara’ foam to insert the stems into for succulent wedding centerpieces – it’s sturdy enough to hold the heavy heads of succulents, and doesn’t need to be watered, which makes it lots easier to build your centerpiece. 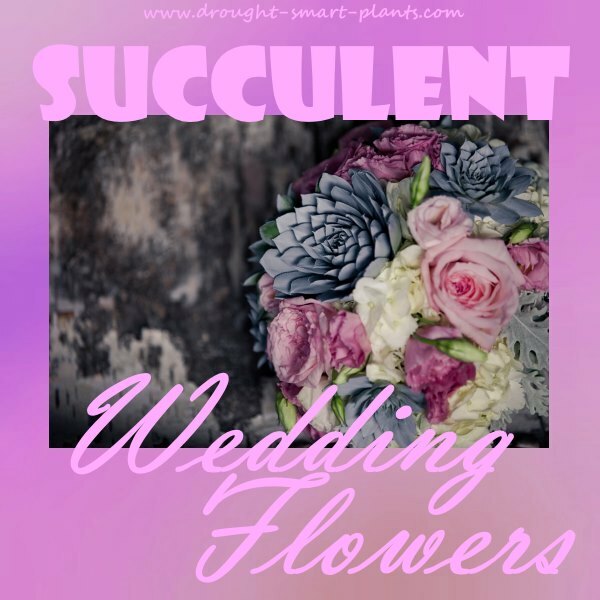 Succulent wedding flowers can be arranged in the weeks ahead, forming the basic craft, and the specials such as babies breath and Paxistima can be added at the last minute to freshen up the display. Boutonnieres for the groom and his men are simple to make; a single Sempervivum rosette, with a spray of ferns and a stick or two of smaller succulents can be wrapped with florists tape and a pin in a few minutes. Try not to handle the waxy and ‘bloomed’ succulents too much as the pruinose will wear off. Enjoy your special day even more, knowing that your 'flowers' are completely sustainable, and will be bringing your memories to life for a long time to come. 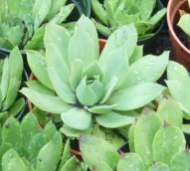 Looking for some beautiful succulents? Find what you need on Amazon; 40 Assorted 4" Inch Succulents in Their Plastic Containers the Perfect Wedding Favor . Perfect choice for weddings, or to plant in your own window box, container or deck planter.